Gunpei Yokoi (Japanese: 横井 軍平, Hepburn: Yokoi Gunpei, September 10, 1941 – October 4, 1997), sometimes transliterated Gumpei Yokoi, was a Japanese video game designer. He was a long-time Nintendo employee, best known as creator of the Game & Watch handheld system, inventor of the "cross" shaped Control Pad, the original designer of the Game Boy, and producer of a few long-running and critically acclaimed video game franchises, such as Metroid and Kid Icarus. Yokoi is best known for his contribution in the creation of the Game Boy. Yokoi graduated from Doshisha University with a degree in electronics. He was first hired by Nintendo in 1965 to maintain the assembly-line machines used to manufacture its Hanafuda cards. In 1966, Hiroshi Yamauchi, president of Nintendo at the time, came to a hanafuda factory Yokoi was working at and took notice of a toy, an extending arm, that Yokoi made for his own amusement during spare time as the company's machine maintenance man. Yamauchi ordered Yokoi to develop it as a proper product for the Christmas rush. The Ultra Hand was a huge success, and Yokoi was asked to work on other Nintendo toys including the Ten Billion Barrel puzzle, a miniature remote-controlled vacuum cleaner called the Chiritory, a baseball throwing machine called the Ultra Machine, and a "Love Tester." He worked on toys until the company decided to make video games in 1974, when he became one of its first game designers, only preceded by Genyo Takeda. While traveling on the Shinkansen, Yokoi saw a bored businessman playing with an LCD calculator by pressing the buttons. Yokoi then got the idea for a watch that doubled as a miniature video gaming pastime, and went on to create Game & Watch, a line of handheld electronic games. In 1981, Yamauchi appointed Yokoi to supervise Donkey Kong, an arcade game created by Shigeru Miyamoto. Yokoi explained many of the intricacies of game design to Miyamoto at the beginning of his career, and the project only came to be approved after Yokoi brought Miyamoto's game ideas to the president's attention. After the worldwide success of Donkey Kong, Yokoi continued to work with Miyamoto on the next Mario game, Mario Bros. He proposed the multiplayer concept and convinced his co-worker to give Mario some superhuman abilities, such as the ability to jump unharmed from great heights. After Mario Bros., Yokoi produced several R&D1 games, such as Kid Icarus and Metroid. He designed R.O.B. and the Game Boy, the latter of which became a worldwide success. 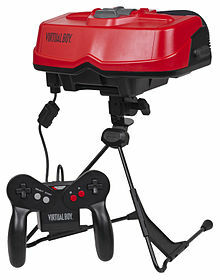 Another of his creations, the Virtual Boy, was a commercial failure. Nintendo has denied that the Virtual Boy's poor performance in the market was the reason for Yokoi's subsequent departure from the company, holding that his retirement was "absolutely coincidental" to the market performance of any Nintendo hardware. According to his Nintendo and Koto colleague Yoshihiro Taki, Yokoi had originally decided to retire at age 50 to do as he pleased but had simply delayed it. According to David Sheff's book Game Over, Yokoi never actually intended for the console to be released in its present form. However, Nintendo pushed the Virtual Boy to market so that it could focus development resources on the Nintendo 64. Amid the failure of the Virtual Boy and the launch of the more successful Game Boy Pocket, Yokoi left Nintendo on August 15, 1996 after thirty-one years at the company. Leaving with several of his subordinates to form a new company called Koto, Yokoi led the development of the Bandai WonderSwan handheld gaming machine. Yokoi said, "The Nintendo way of adapting technology is not to look for the state of the art but to utilize mature technology that can be mass-produced cheaply." He articulated his philosophy of "Lateral Thinking of Withered Technology" (枯れた技術の水平思考, "Kareta Gijutsu no Suihei Shikō") (also translated as "Lateral Thinking with Seasoned Technology") in the book Yokoi Gunpei Game House. "Withered technology" in this context refers to a mature technology which is cheap and well understood. "Lateral thinking" refers to finding radical new ways of using such technology. Yokoi held that toys and games do not necessarily require cutting edge technology; novel and fun gameplay are more important. In the interview he suggested that expensive cutting edge technology can get in the way of developing a new product. Game & Watch was developed based on this philosophy. At the time of its development, Sharp and Casio were fiercely competing in the digital calculator market. For this reason, there was a glut of liquid crystal displays and semiconductors. The "lateral thinking" was to find an original and fun use for this cheap and abundant technology. The Game Boy and NES were developed under a similar philosophy. In the handheld market, Yokoi's refusal to adopt a color display for the Game Boy in favor of long battery life is cited as the main reason it prevailed against Sega's Game Gear and the Atari Lynx. Satoru Iwata, CEO of Nintendo from 2002 until his death in 2015, claimed that this philosophy is still part of Nintendo as it has been passed on to the disciples of Yokoi, such as Miyamoto, and it continues to show itself in Nintendo's then current use of technology with the Nintendo DS handheld system and the highly successful home gaming console, the Wii. The Wii's internal technology is similar to the previous game system's, the GameCube's, and is not as advanced in terms of computational capability and multimedia versatility compared to the competing Xbox 360 and PlayStation 3 consoles. Instead, the system offered something completely different by introducing motion-based controls to the console market in an attempt to change the ways video games are played, and consequently, to widen the audience for video games in general - which it successfully did. This strategy demonstrated Nintendo's belief that graphical advancement isn't the only way to make progress in gaming technology; indeed, after the Wii's overwhelming initial success, Sony and Microsoft released their own motion control peripherals. Nintendo's emphasis on peripherals for the Wii has also been pointed to as an example of Yokoi's "lateral thinking" at work. The DS uses ARM processors at relatively low clock speeds and has far less computational power compared to Sony's competing PSP, yet has many modern features such as 802.11b and touchscreen functionality. On October 4, 1997, while riding in a car driven by his associate Etsuo Kiso on the Hokuriku Expressway, Yokoi rear-ended a truck. After the two men had left the car to inspect the damage, Yokoi was hit and fatally injured by two passing cars. The driver of one of the passenger cars that hit Yokoi in the second accident was Gen Tsushima, a member of the tourism industry. Yokoi's death was confirmed two hours later. In 2003, Yokoi posthumously received the Lifetime Achievement Award of the International Game Developers Association. GameTrailers placed him on their lists for the "Top Ten Game Creators." In 1999, Bandai began releasing a series of handheld puzzle games named Gunpey as a tribute to their original creator, Yokoi. ^ "Forgotten Giant: The Brilliant Life and Tragic Death of Gunpei Yokoi". Game Informer. 12 (105): 116. January 2002. ^ "The Proposition is to Use Two Televisions". Iwata Asks: Punch-Out!!. Nintendo of America, Inc. 13 September 2009. Retrieved March 18, 2015. ^ a b Crigger, Lara (2007-03-06). "The Escapist: Searching for Gunpei Yokoi". Escapistmagazine.com. Retrieved 2011-06-01. ^ a b c "Mario Couldn't Jump At First". Iwata Asks: New Super Mario Bros. Wii. Nintendo of America, Inc. 13 November 2009. Retrieved March 18, 2015. ^ "Nintendo's Leap into the Unknown". Next Generation. No. 23. Imagine Media. November 1997. p. 16. ^ Inoue, Osamu (April 27, 2010). Nintendo Magic: Winning the Videogame Wars. Paul Tuttle Starr (translator). ISBN 978-1934287224. ^ a b Sheff, David; Eddy, Andy (1999). Game Over: How Nintendo Zapped an American Industry, Captured Your Dollars, and Enslaved Your Children. online . GamePress. ISBN 978-0-9669617-0-6. OCLC 26214063. ^ Geemu no Chichi, Yokoi Gunpei Den: Nintendo no DNA wo Souzou Shita Otoko by Takefumi Makino, 2010, Kadokawa Shoten. ^ Yokoi, Gunpei; Makino, Takefumi (May 1997). Yokoi Gunpei Game House (横井軍平ゲーム館, Yokoi Gunpei Gēmu-kan). ASCII. ISBN 978-4-89366-696-3. ^ Ryan, Jeff. Super Mario: How Nintendo Conquered America. Penguin. 2011. ^ a b Parish, Jeremy. The Troubled Past and Challenging Future of Nintendo 3DS: What the 3DS owes to Virtual Boy (and how it's different) Archived 2012-07-11 at the Wayback Machine. 1up.com. 31 March 2011. ^ Jones, Steven E. and Thiruvathukal, George K. Codename Revolution: The Nintendo Wii Platform. MIT Press. 2012. ^ "Virtual Boy - What about Channel 4?". www.rfgeneration.com. Retrieved 2019-04-16. ^ "Game Boy Inventor Dies in Car Crash". IGN. IGN Entertainment, Inc. October 6, 1997. Retrieved July 27, 2011. ^ a b Brian Ashcraft (2011-04-07). "The Father of the Game Boy Was Not Killed By Yakuza". Kotaku.com. Retrieved 2011-06-18. 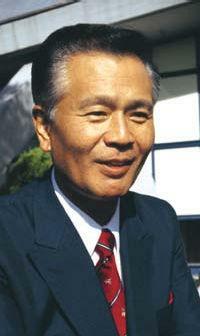 ^ "IGN: Gunpei Yokoi Biography". Stars.ign.com. Retrieved 2011-06-01. ^ "Game Boy Creator Gunpei Yokoi to Receive IGDA'S Lifetime Achievement Award At The 3rd Annual Game Developers Choice Awards". 20 February 2003. Archived from the original on 15 June 2011. Retrieved 27 November 2010. ^ "Top Ten Game Creators". Gametrailers.com. Retrieved 2013-01-24.